“Light in the Darkness: Studies in the Gospel of John” has now been received in the BMH Books warehouse from the printer and is available for shipping. 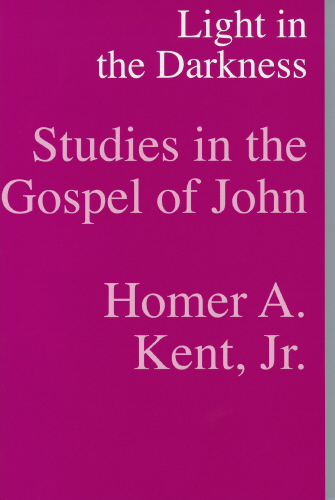 This second volume in The Kent Collection, a republishing and updating of the commentaries on 15 New Testament books by the former president of Grace College and Seminary, Dr. Homer Kent, Jr., is a 275-page paperback and retails for $15.99. The ISBN number is 0884692477 and the book is available at www.bmhbooks.com or by calling BMH Books division manager John Leonard at 1-800-348-2756. 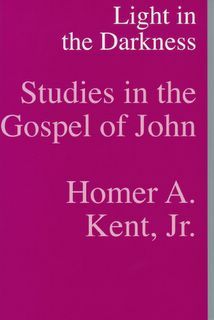 The next books in the Kent Collection, now in manufacture, are commentaries on James, Ephesians, and more.